Mei Misaki was cute, athletic and one of the most popular girls in her school. Why should a little thing like death change that? 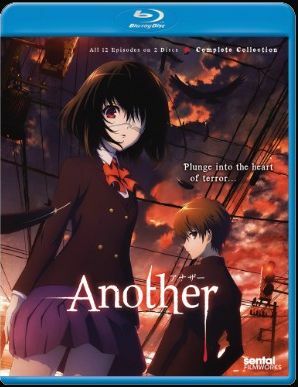 Now, twenty-three years after Mei's mysterious demise, a new transfer student discovers that not only is his school's student body one corpse short of a full roster, but that some secrets never leave high school. And what's more, all of this may somehow be tied to his own family past. What is the secret and how does it all connect? And even if Kouichi does figure it out, will that knowledge help save him? As the school bells toll a deadly dirge and students begin to die, things that were never properly buried come back to haunt the high school of the damned in ANOTHER!